Continuation from the previous 62 parts, the whole series can be found at http://www.nikoport.com/columnstore/. Data Loading is one of the most important topics for any IT professional, no matter if you are a Data Platform specialist working with huge ETL processes, or if you are a .NET developer, creating the next big application for the world. Everyone cares about how fast their data lands in the destination table. 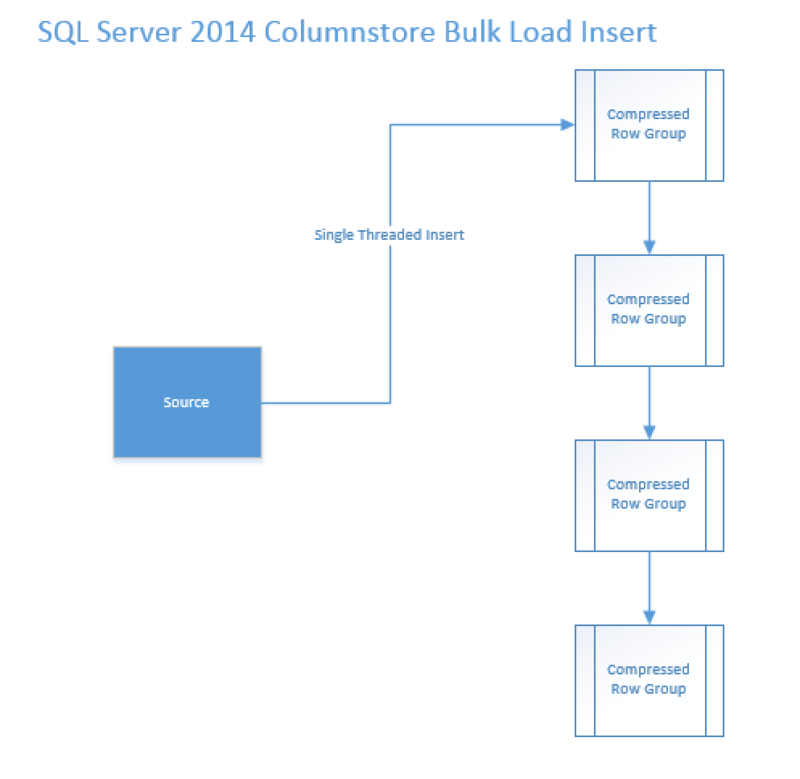 Clustered Columnstore Indexes – part 27 (“Data Load with Delta-Stores”). In SQL Server 2016, Microsoft has implemented a parallel insert for the Insert … Select .. With (TABLOCK) command. This improvement applies to any table, not only tables with Clustered Columnstore Indexes, but even HEAPs as well. This is definitely a magnificent improvement, that will result in great improvements for data loading, but what does it mean precisely for Columnstore Indexes ? 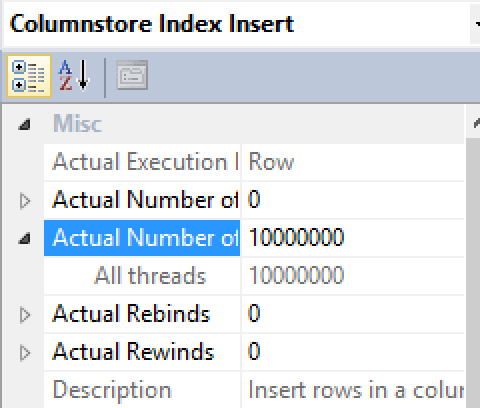 No matter how many cores we have, in SQL Server 2014, the data insertion into Clustered Columnstore uses 1 single core and starts filling Delta-Stores sequentially, by inserting the data into the 1st available Delta-Store until reaching the maximum possible number of rows (either 1048576 or the eventual trim with the memory or dictionary or having less rows). Once the first Delta-Store would get filled, then the next Delta-Store would be filled and so on and so forth. No matter how good your actual execution plan for reading data part is, the insertion will typically probably be the slowest performing part of your query. 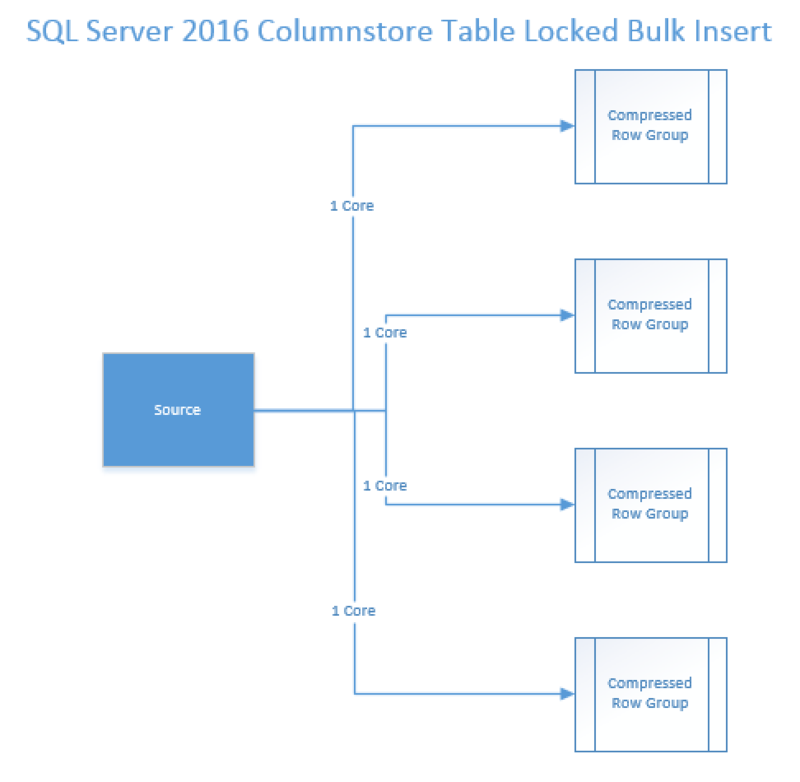 This type of serial insertion for tables with Columnstore Indexes in SQL Server 2014 have some good advantage – in a normal case you would have only 1 Delta-Store not completely filled (the last one) and it might be actually an open Delta-Store, that you can close with a COMPRESS_ALL_ROW_GROUPS = ON hint while invoking ALTER TABLE REORGANIZE command or fill it with more data later. Depending on the number of available resources for the query (such as memory and the CPU cores) we can have a separate Delta-Store for each of the used CPU cores that will be receiving data in parallel fashion. From the logical perspective, if we have enough Drive capacity for sustaining X times faster data writes, where X is the number of CPU cores used in the query, than we shall have around X times improvement for the data loading. From the Delta-Store fullness & trimming perspective it will mean, that we shall be typically trimming the last X Delta-Stores, where X is the number of CPU cores used in the query. This is a quite clear X times disadvantage compared to the serial insertion, but which can be mitigated with Alter Index Reorganize command in SQL Server 2016 (see upcoming blog post on the Segment Merging). or if you are not using TABLOCK hint while inserting, then the insertion will stay serial like in SQL Server 2014. It took 30.0 seconds to load the data and so the data insertion part of the execution plan was serial. 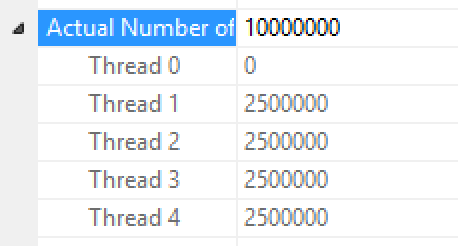 The properties of the Columnstore Index Insert iterator show only 1 thread with all 10 Million Rows being inserted at once. This results in generating a sequential insertion into the Delta-Stores which shall be automatically compressed into the Row Groups & Segments, so the final result should represent a number CEIL(10000000/1048576) of compressed Row Groups, where the last Row Group is trimmed with the resting number of rows. You can see on the picture that in my case I have loaded 10 Row Groups with only the last one being trimmed by the loading process. 17 Seconds later I had my data loaded into my table. Going from 1 to 4 cores in my case allowed me to improve the performance almost 2 times, which is not a bad result, considering that I have a rather small (10 Million Rows) sample running on the pretty fast SSD drive. Looking at the Columnstore Index Insert iterator properties (shown on the right), you can see that the 10 million rows were equally distributed between my 4 cores (threads). This time around we have received not 10 but 12 Row Groups, with the last 4 ones being trimmed by the equally distributed number of rows, exactly as we have expected. You have to pay for the performance and the payment is those trimmed Row Groups, though they impact is naturally relatively low if you are loading bigger amounts of data. You can see on the partial screenshot on the left that the reason for the trimming of those Row Groups is the BULKLOAD, which clearly explains you the situation – allowing you to avoid running Extended Events to find it out. The maximum number of optimisable trimmed Row Groups for the single loading process equals X-1, where X is the number of used cores. This means that in practice if you are running a Server with MAXDOP = 8, per each of the load parallel insertion loading process you are generating up to 7 optimisable Row Groups, something to consider before kicking of the loading process. Test it before you apply it in the production is all I can say. You can see the execution plan for itself, besides insertion into the heap we naturally need to update our Nonclustered Columnstore Structure, which is getting hit pretty hard with what seems to be a non-BULK based load process. Notice that none of the Row Groups are compressed, all 4 of them are Delta-Stores, with 3 being closed ones and 1 is still open, which for me is the best signal that the load process was single threaded and not using Bulk Load API. Since I have only 8GB of RAM on this VM, I had to limit the number of rows that I attempted to load with this InMemory configuration, even though my resource pool for memory was already set on 75%. Take a look at the execution plan. Ok, Ok – I am not writing more on the InMemory Columnstore for the current version 2.X of CTP, I am waiting for the 3.X series, since this version is still extremely rough and definitely is being in progress. Great Improvements for data loading into Clustered Columnstore – they are extremely welcome. One will have to make a well-thought decision before opting to use parallel insertion. It might not be worth it in a number of situation, unless the speed is the paramount – this is where you will definitely want to use it. Good article about the 2016 new stuff. but, does SQL 2016 is able to do parallel insert when we are using SSIS to load the data and not a simple insert into … select statement? because for now, I still see only 1 core running at a time during the insertion process. So I see 1million rows loaded, then compressed, then another 1million transferred, compressed etc… but but 4millions in parallel. so how to use the new parallel processing option when loading data using SSIS? this functionality is designed for the t-sql execution (stage->dwh transfer for example), and it does not work with SSIS unfortunately. I compared sequential vs parallel insert in term of final size and on my test the result is that the compression ratio is not the same : 30% less compressed when using parallel insert ! My table is quite large : 355 columns, may be this impact compression ratio ? you will need to provide a little bit more details in order for me to understand. Do you use any partitioning ? How does parallel insert affect the size of the Row Groups ? 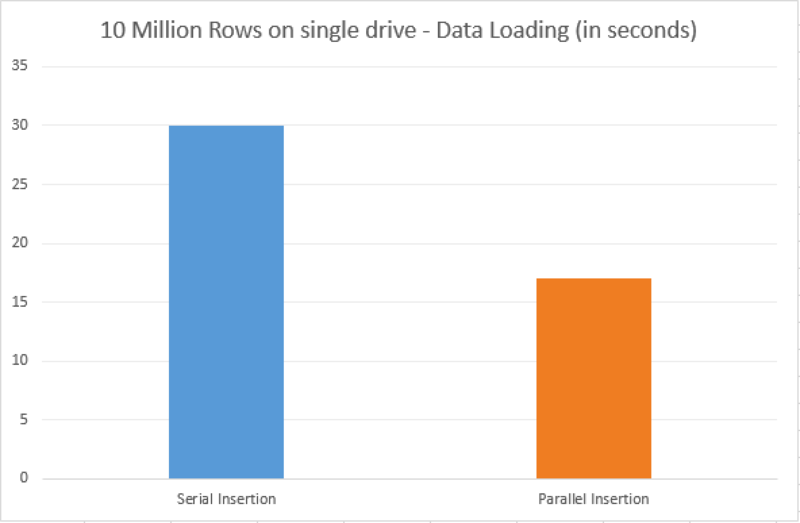 How does parallel insert affect the overall execution time performance? Big number of columns will result in a bigger requirements for the memory which will force Row Group trimming, which might cause significantly poorer compression … But it is all a speculation unless there is more info. Tested on 2016 and 2017 Dev. Ed. It seems you was right for trimming RG with parallel insert. What also is interesting is that parallel insert in a clustered columnstore indexed table that is partitionned is thousand time slower than sequential insert. yeap, the Partitioned operations are in fact are noticeable slower for a number of people. I hope that some fixes in the next SQL Server version will address at least some of those limitations. Also remember that every partition of the CCI (Clustered Columnstore) is a Clustered Columnstore Index itself, meaning it has its own Delta-Stores, Global & Local Dictionaries, etc – and that’s the reason why you will see duplication and less sophisticated compression overall, when having highly repetitive values in your partitioned table.